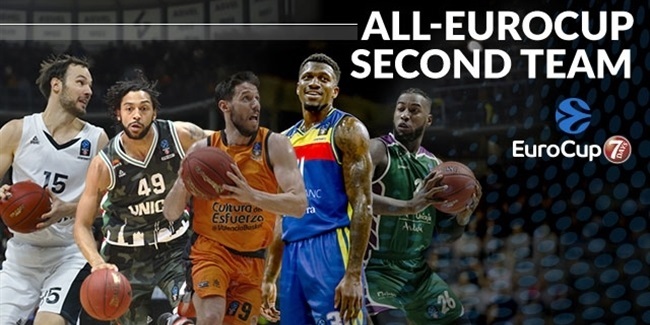 The road to the 2012 Eurocup Finals featured 152 games played and before a new champion of the competition is crowned, Euroleague Basketball has chosen 10 deserving stars to make up the All-Eurocup first and second teams for the 2011-12 season. Headlining the second team is Yotam Halperin, who led Spartak St. Petersburg to the Eurocup Finals. Joining him as All-Eurocup second team choices are Ramel Curry of BC Donetsk, Pavel Pumprla of CEZ Nymburk, Jeremiah Massey of Lokomotiv Kuban and Bojan Dubljevic of KK Buducnost Voli, who led their respective teams to the quarterfinals. 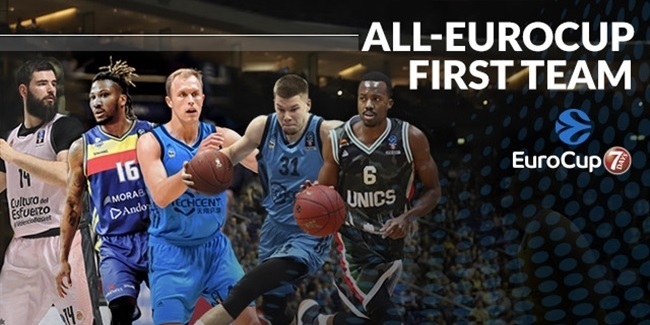 All five players are All-Eurocup choices for the first time in their careers. The All-Eurocup first team will be unveiled on Thursday, April 5. 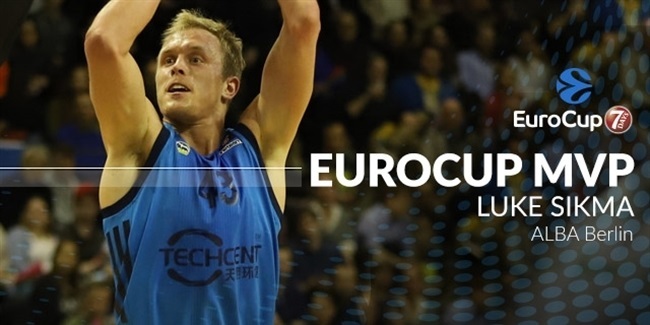 The All-Eurocup first and second teams are in their fourth season and are named by in-house experts at Euroleague Basketball with the goal of enhancing the recognition of the finest Eurocup players for their efforts throughout the season. The first and second teams are divided by position, each with two guards, two forwards and one center. In his first Eurocup season, Halperin (8.4 ppg., 40.6% 3FG, 2.7 rpg., 5.4 apg., 13.9 index) tied for first in assists in the Eurocup. He became the MVP of Quarterfinals Game 2 with a 31 performance index ranking in a go-ahead win against Nymburk. A two-time Euroleague winner with Maccabi Tel Aviv, Halperin will now try to add a Eurocup trophy to his roll of honors. Curry (16.4 ppg., 46.4% 3FG, 3.9 rpg., 3.1 apg., 1.4 spg., 15.1 index) led Donetsk in points, assists, steals and index rating as the Ukrainian powerhouse reached the quarterfinals in its first Eurocup season. He is the 2011-12 Eurocup’s leading scorer. Pumprla (12.7 ppg., 42.1% 3FG, 5.9 rpg., 2.2 apg., 1.8 spg., 15.7 index) led CEZ Nymburk in index, rebounds and steals as his year-long solid performance took the Czech champs back to the Eurocup Quarterfinals. He was third in steals, seventh in total rebounds and eight in index in the entire competition. Massey (15.9 ppg., 8.4 rpg., 2.1 apg., 1.6 spg., 19.9 index) led the 2011-12 Eurocup in index and rebounding, was second in scoring and sixth in steals. He earned weekly MVP honors in regular season Game 5 and Top 16 Game 6 and helped Loko to reach the quarterfinals. At age 20, Dubljevic (11.5 ppg., 40.6% 3FG, 5.5 rpg., 12.7 index) led Buducnost in points, rebounds and index. He was a major reason Buducnost made it to the quarterfinals and once there earned Quarterfinals Game 1 MVP honors.